Writing Your Way helps us to see writing as a transformative tool in our search for wholeness. 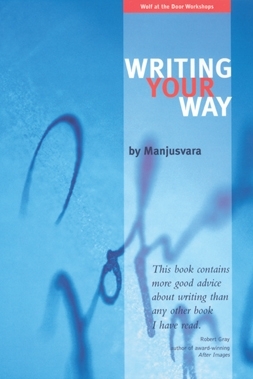 Manjusvara expertly guides us to the heart of writing and aspects of Buddhism, with writing exercises that delicately weave in teachings on mindfulness and compassion, freedom and openness. Emerging out of the Wolf at the Door writing workshops taught in many FWBO centres and elsewhere worldwide, Writing Your Way helps us to see writing as a transformative tool in our search for wholeness. Manjusvara (David Keefe) expertly guides us to the heart of writing and aspects of Buddhism, with writing exercises that delicately weave in teachings on mindfulness and compassion, freedom and openness. Delve inside to find the encouragement to express your own deeper self through the dance of language.